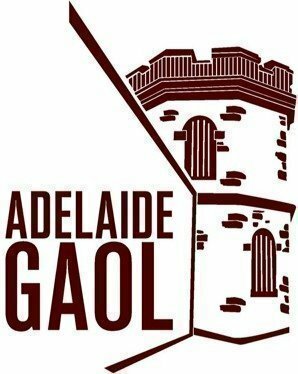 Adelaide Gaols annual Trick or Treat Trail is back bigger and better in 2018. Bring along your little ghosts and goblins for a day sure to entertain! With inflatable rides on offer and plenty of food and drink the Gaol hosts the best (and most affordable) Halloween event of the week. Within the spooky walls will be plenty to see and do, with stalls full of tasty treats and maybe a game or two. Fill up your loot bag and bring your family along, we’d love to welcome you, so why not join in on the fun! **Suitable for ages between 4 to 10 years. Please note that the ticket price does not include food and drink. One loot bag included per paying child. Anyone over the age of 4 years old is required to purchase a ticket. ^Save money & buy a 3 Ride Pass for use on: the inflatable slide / castle / mega obstacle course. This ticket is an OPTIONAL EXTRA and does NOT include event ENTRY. Event Entry MUST also be purchased for each child to gain access to the event. Suitable for children 10 years and under. Individual rides will be available for $5.00 each on the day. - I acknowledge that photos and/or video may be taken of event attendees throughout the event and used by Department for Environment and Water for promotional and advertising purposes. - I understand that pets, alcohol, illicit drugs, weapons, food/drink are not permitted to be taken onto premises. - I understand that I may be denied entry into, or removed from the premises if the Organiser has reasonable grounds to do so, including if you are intoxicated, under the influence of illicit drugs, inappropriately attired or adversely affecting the enjoyment of the event by others. - I understand that entry may be refused if non-compliant with the above conditions of entry.